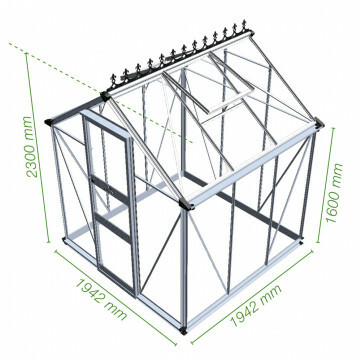 Order this Eden Greenhouse from Greehouse Warehouse today and we'll give you a Free Waterbutt, Gutter Connection Kit and 1 x pack of Blinds, completely free of charge. These items won't show on your order, but will automatically be added to your order and delivered to you with your new greenhouse. 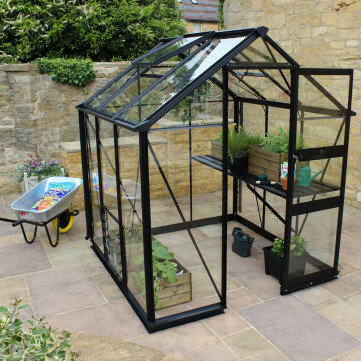 Glazing - Horticultural Glass is the standard glazing material used for glazing greenhouses, although many customers now choose to have Long Pane Toughened Glass which is about 8x stronger, and comes in large panes so there are no overlaps (this also looks nicer). Toughened Glass is very strong and shatters into tiny fragments rather than dangerous shards like Horticultural Glass. 6mm Twinwall Polycarbonate is very strong, virtually unbreakable, and therefore ideal where children are around, or where safety is a priority. Optional Extras - see the section on the right for details of the strong integral Shelving and Staging that is available, as well as Ridge Cresting, Louvre Windows, Water Butts and an Installation service. 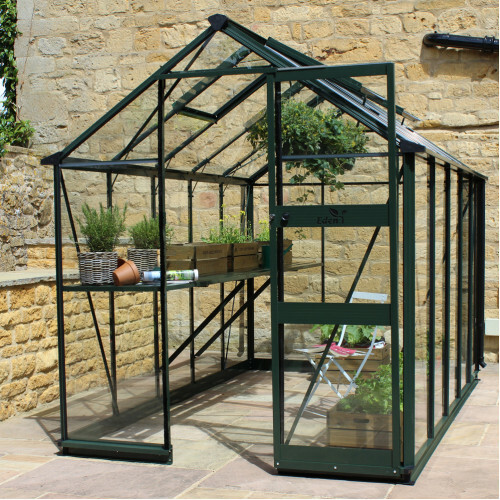 The Eden Greenhouses Burford 66 greenhouse is available in plain silver framework or in a green or black powdercoated finish, which is baked on. Using Eden's new 'Zero Threshold' door system, there is absolutely no bar across the entrance at floor level. The Burford 66 needs to be installed on a hard surface, ie concrete or slabs.